A relaxing, nurturing and healing space to connect with your inner light. Health & Well-being workshops and one-to-one therapies for everyone. Nuala Anne is the Founder and General Manager at North Star Health & Well-being Centre. As a Complementary Therapist, Nuala Anne's caring and nurturing personality provides a safe and secure environment for each of her clients to feel comfortable, relaxed and open to healing. Nuala Anne’s intention for everyone she works with is that they leave feeling better and lighter than how they arrived. Anne has been a Spiritual, Intuitive Healer for almost twenty years. With a strong background in Holistic Therapies and Naturopathic Medicine, her passion is to bring you to the safe, rock-solid, inner core of health and powerful well-being inside yourself, using the therapy modalities listed. When she's not loving her time with her clients, Anne is rearing her two children and studying Herbal Medicine and traditional harp. 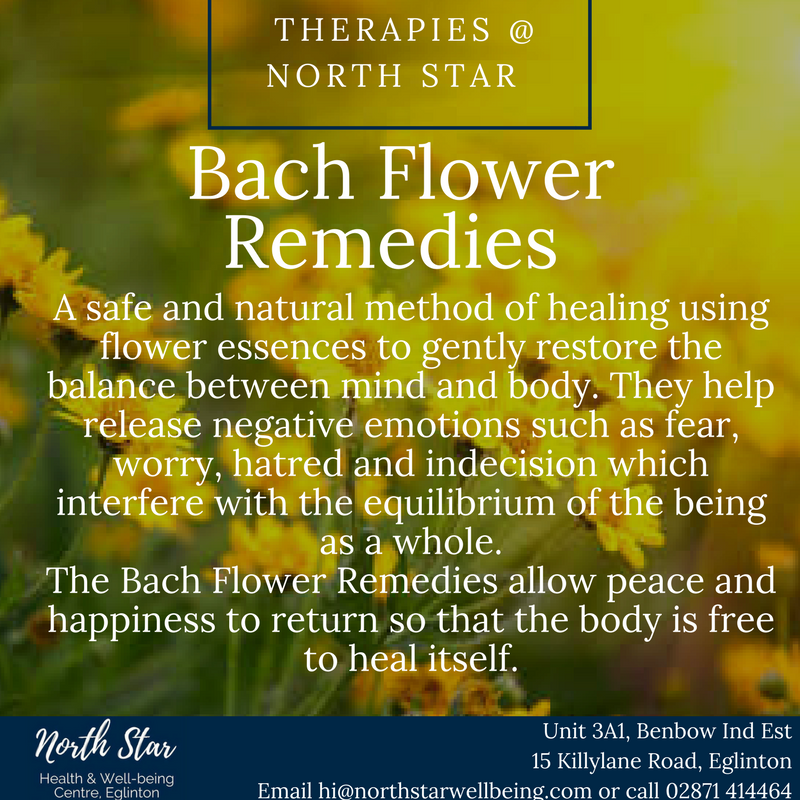 Ellen comes from a Nursing background and her practice of Complementary Therapies started in June 1993 with a Reflexology Diploma from Chrysalis School of Reflexology and later in December of that year a Diploma in Aromatherapy and Stress Management from the Purple Flame School of Aromatherapy. From then until the present time Ellen has been constantly upgrading her knowledge and practice in all disciplines by undertaking courses in Continued Personal Development. Ellen is a Yoga instructor for adults and children and a facilitator for Meditation and Relaxation sessions. In addition to carrying Personal Indemnity Insurance, Ellen is a fully qualified and paid-up member of the following professional bodies, Nursing and Midwifery Council; Federation of Holistic Therapists (FHT); Crystal Healing Foundation; Yoga Therapy and Training Centre and the Complementary and Natural Healthcare Council (CNHC). Betty has been practicing Holistic Therapies for 16 years. She brings to North Star a wealth of experience and knowledge. As a Mother of 3 children, Betty's nurturing and healing character are evident in her care for her clients. Betty is dedicated to inspiring her clients on their healing journey to bring inner peace and balance to their lives. Betty fully appreciates and understands the importance of self-care having been on her own journey of healing. Betty loves being in nature and finds great comfort and healing from it. She also loves to laugh and is a Certified Laughter Yoga Leader sharing the feel-good power of laughter. Ursula uses primarily Cognitive Behavioural Therapy techniques along with Stress Management and Personal Development Coaching. The sessions are structured and goal orientated and encourages self-awareness, enthusiasm and motivation for change. I discovered kinesiology whilst looking for a way to help my daughter who suffered with excema. Conventional medicine was only giving limited relief and a chance meeting led me to make an appointment with a kinesiologist. After 2 weeks of following a revised diet my daughter started to sleep through the night consistently – the first time in 6 years – and her excema improved significantly. Kinesiology can help with a wide variety of issues including (but not limited to) digestive problems, food sensitivities, anxiety,stress, learning difficulties, tiredness, aches and pains. I am the mother of 4 amazing children and I love spending time with them. We like exploring different places and reading lots of books. I am passionate about helping others achieve their best health. As a School teacher for 20 years and a specialised Kids’ yoga teacher for over 7 years I have personally witnessed how the practice of yoga supports children in their schools, homes, sports, and relationships. It helps children maintain natural flexibility, awareness and strength in their growing bodies. It enhances concentration and self-esteem. It promotes present moment awareness, creativity, gives a peaceful relaxed state of body and mind, encourages kind peer and social interaction, helps stress management, and teaches discipline and responsibility. The children start each lesson with a warm up yoga game which is fun and active. The class itself is based around a story which incorporates yoga poses to bring that story to life through movement, music and drama. Children are free to express themselves and to move to develop physical strength, improve posture and breathing, and improve self-confidence and self-esteem. To finish - relaxation or a guided meditation based around a theme, to promote mindfulness, to look inward and discover who they really are. The principles of yoga introduce cornerstone values such as non-harming, truthfulness, moderation, cleanliness, gratitude, and self-discipline and thus overall well-being. Yoga is a choice for children who shy away from physical activity or group activities for fear of failure or being picked last, and it helps athletic children excel in other physical activities and sports. Ann Marie is a Chartered Physiotherapist and Pilates instructor registered with the Chartered Society of Physiotherapy and the Health Professions Council. Ann Marie will be offering Group Pilates classes at North Star every Tuesday and Friday.